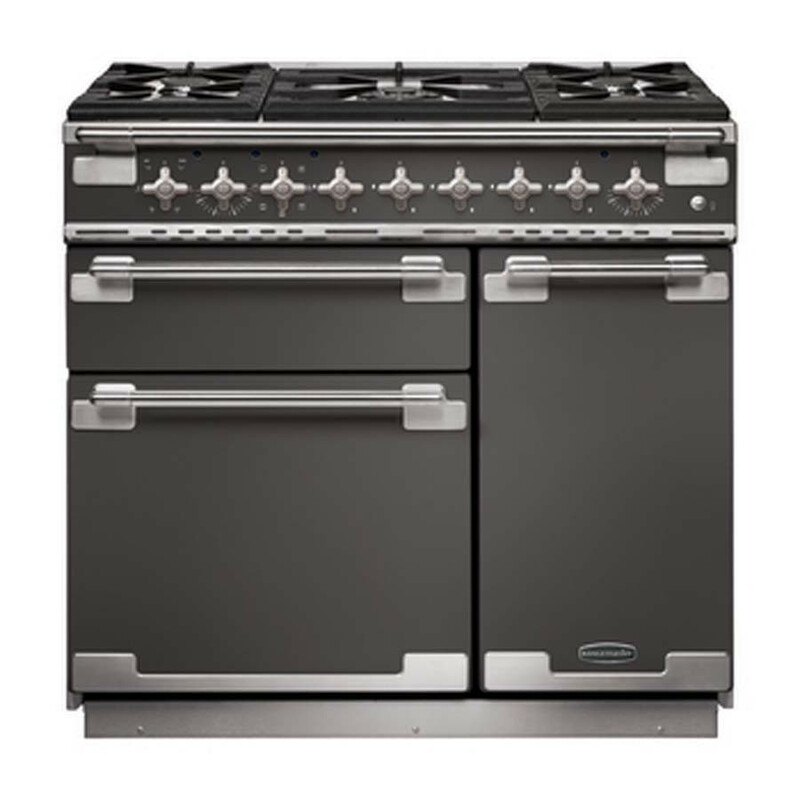 The Rangemaster Elise 90 Dual Fuel with its distinctively continental design offers a truly professional performance whilst bringing a touch of French inspired flair in to your kitchen. The stylish controls, solid doors and brushed chrome trim distinguish the Elise in the Rangemaster family as a model taking inspiration from European chefs revered worldwide. The 5 burner gas hob with cast iron pan supports also benefits from a powerful 3.5kW Multi Ring Burner which is perfect for Asian style cooking and includes the Rangemaster wok cradle as standard enabling the stable use of a round bottomed wok. The single handed ignition system leaves one hand free for cooking by easily lighting burners with just one twist of the control. If you don't have mains gas an LPG conversion kit can be requested free of charge with your cooker at the time of order. Available in a wide selection of colours there is a Rangemaster Elise 90cm Dual Fuel Range Cooker which will look perfectly at home in any kitchen. Choose from a vibrant colour palette of black, cream, china blue, cherry red, white, slate or stainless steel all combined with a coordinating brushed chrome trim.